Well folks, it's been a blast. 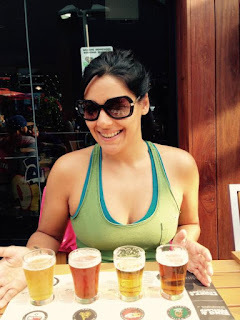 Writing a beer blog was everything I ever imagined it would be - a lot beer drinking, forcing my friends to taste test 8 pumpkin beers in a night, asking questions like "Which had nicer lacing?" or "Do you think it was because of the lower carbonation? ", and of course, writing about the loads of beer festivals that have started in the last few years. But alas, I can't be bothered anymore. I'd rather drink, than define. I want to taste, not transcribe! So ladies and gents, I'm ending it all with one last sha-bang. I'll be heading to Sierra Nevada Anchor Brewing Company, Coronado Brewing Company, and Stone Brewing Co. for a once in a lifetime trip down the hoppy hole. Thanks to everyone who's supported http://www.toloveandtodrink.com/ over the last four glorious years - I couldn't have had so much beer without you. I've gotta say, compared to all of the island beer I've ever had, Turk's Head by the Turks and Caicos brewery is not bad!! There's... TASTE! 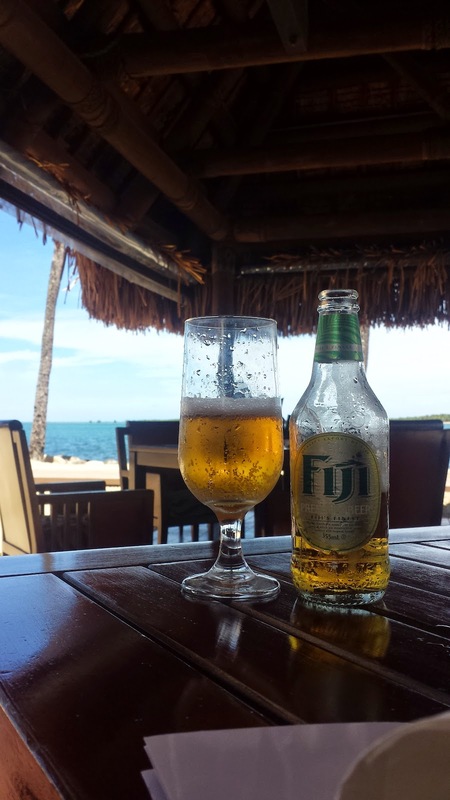 Typically, I'm an island beer hater. It's tasteless. It's bland, slightly carbonated sugar-carby-water. But while Turk's Head still has that islandy-taste, there's something else to it, it's got body, which is surprising for a 4.8% beer as well. I think it has something to do with the fact that the brewer Eric Cardin studied at Niagara College Teaching Brewery in Ontario. You can taste the Canadian influence in that it's a flavourful light lager. Now, I'm not saying it's a hopped up Amsterdam Boneshaker or flavour ride like Brooklyn Lager, but for a light island beer that's meant to be a sessionable, it's pretty darn great. Specifically, it's got an unfiltered (even though it's not unfiltered) nose, and has hints of orange and currants that make it taste as though it would be delish under the sun with some freshly caught fish. I was lucky enough to have my pops bring this bottle back form me from a recent trip to that part of the world and it's given me hope that there's such a thing as a "good beer" on vacation in the Caribbean. It's been a good week. I'm on a few week break from real life and had a couple of rare-to-Canada Rouge's in my fridge. I started out with Dad's Little Helper, which was a 6% black IPA. It was toasty, mildly warm, and crispy delicious. What always impresses me about Rogue is their uniqueness. 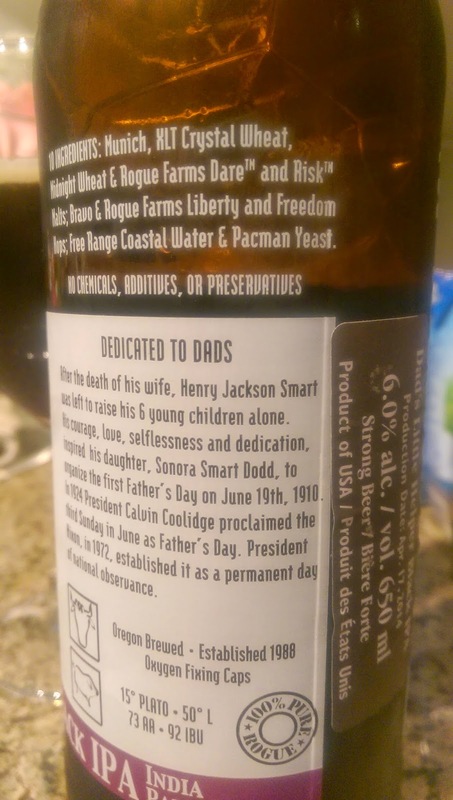 This particular brew presented the story of the first Father's Day, a story from 1910 of a man that raised six kids on his own. Well cheers to that man - this was the first of a likely six glasses I'll raise to him and many more things tonight. 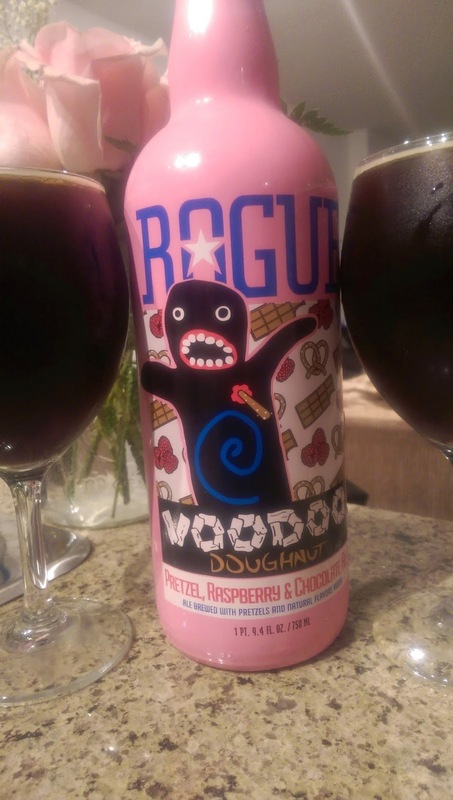 Next up was the OH SO PRECIOUS yearly Rogue VOODOO DOUGHNUT. And this year was by far the best one yet. I honestly don't know how they're going to beat this one unless they do a chocolate salted candied marshmallow strawberry s'more one next year. Really. But this year was the pretzel, raspberry & chocolate ale. MMMMMMMMmmmmm. Like last year's brew (chocolate, peanut butter, and banana ale), this year was a normal 5.4% and paired with dessert and doughnuts, but, now stay with me, I had it with spicy homemade chili. It felt a little like I was having a jelly doughnut with dinner, yes, but it really made the raspberry finishing flavour come out with a bang. I got two of these bad boys as a gift this year. If you're anywhere in Ontario, GOOD LUCK because they sold out at the LCBO almost immediately. I think the pretzel flavour made this year's extra special. Pulling away from the standard sugarly desserts, Rogue got a little sweet and salty! MMMhmmm! Winter has arrived, and what better way to kick it off than with a Great Lakes Brewery Winter Ale. The strong 6.2% doesn't come through in the flavour, which is a trait that I've found a lot with Great Lakes - they know what they're doing over there. 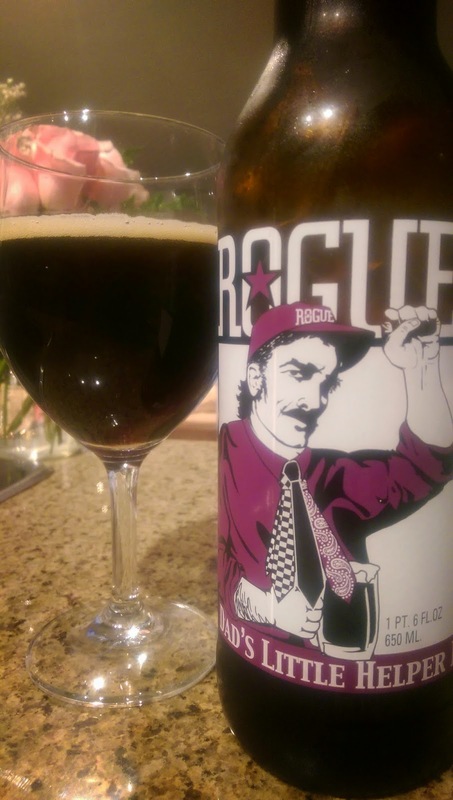 The orange peel and spices bring out a combination of flavours that start with a warming ale, turn into a chocolaty stout, has hints of a spiced brown, then ends with a smooth, clean, but still very warm finish. It's spiced, full bodied, and perfectly carbonated. Pick it up for your first sit-down by the fire or when you're feeling just about ready to start hibernating to sleep away the cold months. Mmmm. Nope. 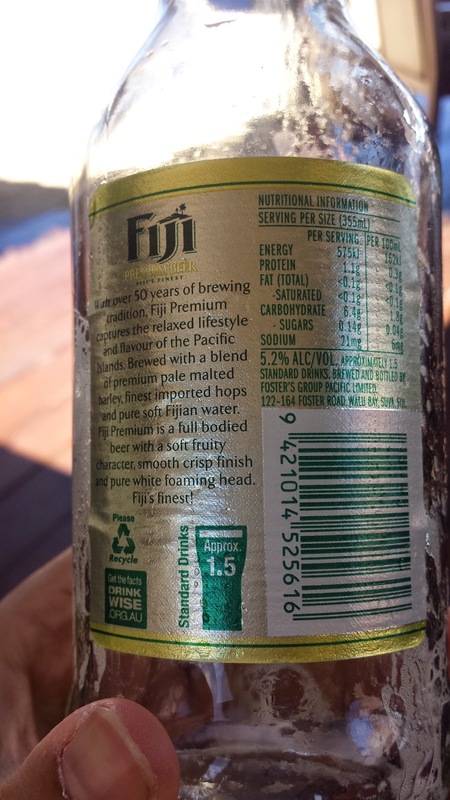 Never thought I'd make it to Fiji and drink their premium, but here i am, doing just that. At first it tasted like a Corona meets a Coors Banquet. The taste quickly changed twice more. Next, the Corona Banquet turned into a Perroni, with a crisp but malty flavor. Once that passed, the oh so yeasty aftertaste kicked in. Mmmmmmmm. For $11FJD I'm happy i tried it. I might have to go for the $17FJD Asahi next time though..